Its been awhile since I've walked into Sephora and played with all the makeup brands. 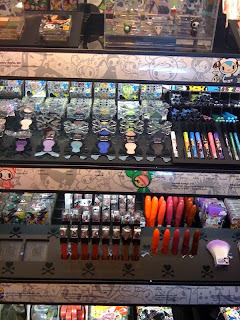 The store is amazing, like a girl's dream playground. I don't ever buy much, but I sure do love to swatch, swatch away..and see what's new. Awhile back I had mentioned that a few familiar brands that has been with Sephora for a long time was being taken out, ie: Laura Geller, Cargo, Vincent Longo. Since then, Sephora has added many new up and coming brands to its list. 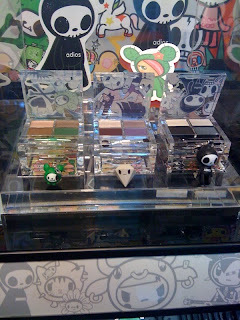 Even though the stand at Sephora was small, the new makeup line offered lots of products for makeup lovers. 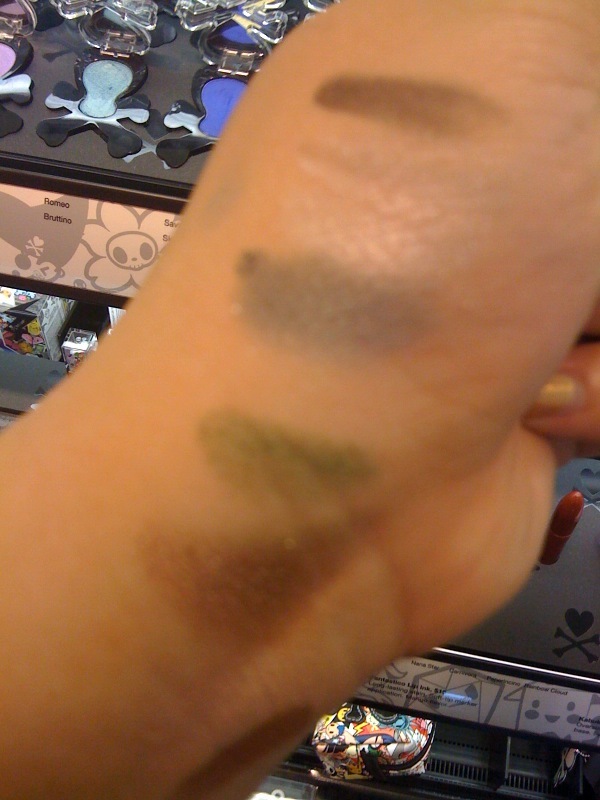 I was able to test some of the eyeshadow quads out and yes they are very pigmented. 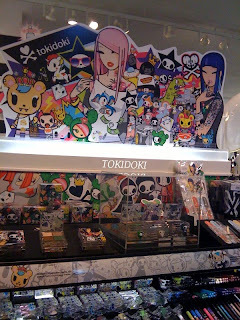 There is an array of awesome colors and products to choose from, and if you are a Tokidoki fan, the packaging is to die for! I wasn't able to play with all the products (had to leave) but the ones I did were pretty good for first time swatches. Maybe next time I'll be able to get more swatches and a better review. Tokidoki makeup brand can be bought at Sephora stores and sephora.com. Have you checked out the new makeup line yet at Sephora? I haven't had the chance to check out these products yet but I definitely will tomorrow. I'm so excited. Oh what?! I totally didn't see this at Sephora. I need to go back and check that out!! I barely just checked it out. I'm so behind...lol! I was soo tempted but I didn't buy anything. Did you? I've only seen online pics and swatches, but I really like this line! If I'm ever in the US I'll definitely check it out! 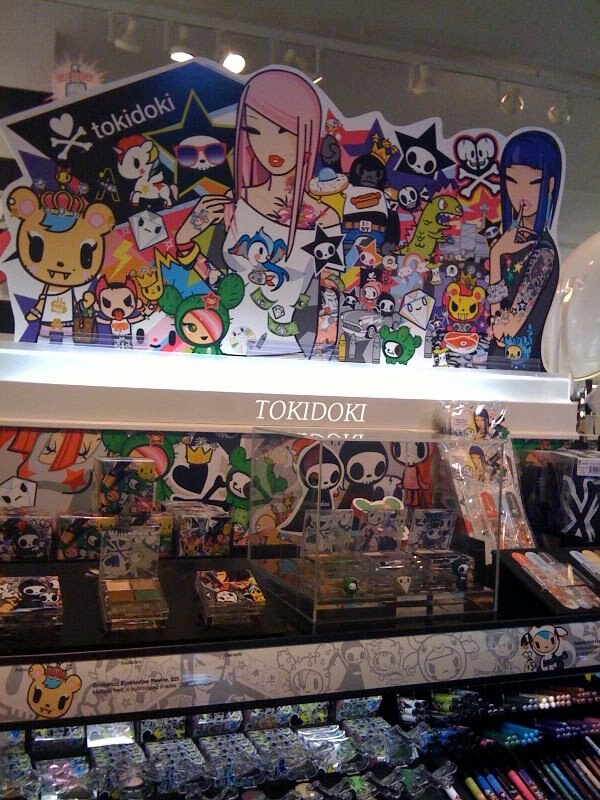 i'm so tempted by all the tokidoki kawaii products x_x so expensive though!